If looking for more finished living space, putting an addition onto a house is often the more economical choice over selling a home and buying a new one. Also, a house addition affords you the opportunity to not have to leave the neighborhood or have kids change school districts. An addition to a house is a major undertaking. As a result, it is important to plan wisely and hire the right home addition contractor. Do either of these two fundamental things wrong and you can end up with a money pit and major heartache. When planning a house addition first figure out the purpose of the new living space, e.g. is it for an extra bedroom, a family room, or an expansion of a kitchen. Also write down what major amenities you want to integrate into the house addition. Figure out the rough dimensions of the house addition. I always suggest staking the area and connecting the stakes with string to get a good visual representation of the house addition footprint. Either hire an architect or use a home design software package to develop your home addition plans. Initially you may want to start with just pencil and graph paper, and that’s fine. Ultimately, however, you’ll need cross-sectional views of the house addition construction, along with various views of the finished house addition. An architect or a home design software package can easily generate these necessary drawings. Remember that you’ll also need to pull permits for putting on an addition to a house. 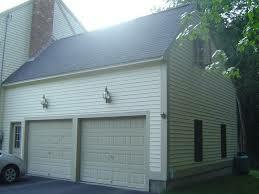 So make sure to visit your local building inspector prior to getting too far into your home addition plans. The inspector will be able to help you identify any covenants or setback requirements on your property. When it comes to hiring a home remodeling contractor ask neighbors, family and friends first for any contractors that they have worked with and can recommend. If they can’t help you, then turn to one of the national contractor referral companies. They screen all contractors that they keep in their databases. To use one of these firms simply fill out one of their forms (go here) and 3 or 4 local contractors in your area will call you. There is no cost to you for this service and you are not obligated to use any of them if you so choose. Make sure to thoroughly interview prospective house addition contractors. Check their references and make sure they are properly licensed and insured in your state. Also, look for the contractors that provide you with the most comprehensive bids. 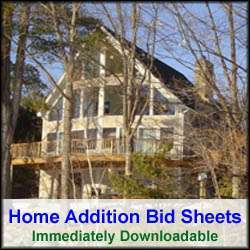 The more thorough the house addition bid, the more likely the contractor knows what he/she is doing. Follow these fundamental rules for putting on an addition to your house and you chances of a successful project are greatly enhanced.